Here is some great news from O’ Tenga for Assamese people residing in Mumbai and craving for home-cooked typical ethnic food. 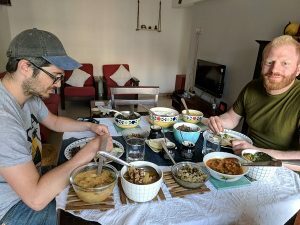 Yes, O’ Tenga, an Assamese kitchen, serving delicious homemade delicacies in Mumbai is extending its home delivery services across the commercial capital of the country. Previously, its services were only restricted to Andheri west region of the city. The Assamese food outlet is now delivering across Mumbai finger licking delicacies at a discounted delivery fee of Rs 150. However, the facility is available for orders placed before 5 PM, the previous day and also applicable on orders of less than Rs 2000. Ranging from ethnic fish curry to pork boil curry with lai saak (a green leafy herb found exclusively in the North-east) and not forget, the all-time favourite aloo pitika (mashed potato) and omita khar – the traditional Assamese dish whipped up with raw papaya and the star ingredient – kolakhar, which is made by filtering water through the ashes of sun-dried banana peels. You name it and O’ Tenga has it in their menu. The food outlet also introduces in its menu seasonal vegetables and prepares dishes according to the mood of the season and weather conditions. So now when the guti aloo (small potatoes) are in season now, the food outlet, O’Tenga in Mumbai is taking all the pain to transport these guti alu all the way from Assam to serve its valued customers. The official twitter handle of O’ Tenga boasts of the fact that the outlet is not only a must visit joint for the Assamese or for that matter people from North-east residing in Mumbai. It is also frequented by mainland residents and even foreigners. Though they get red-faced and teary eyed after trying pork prepared with bhut jolokia, they crave for more and keep coming again. 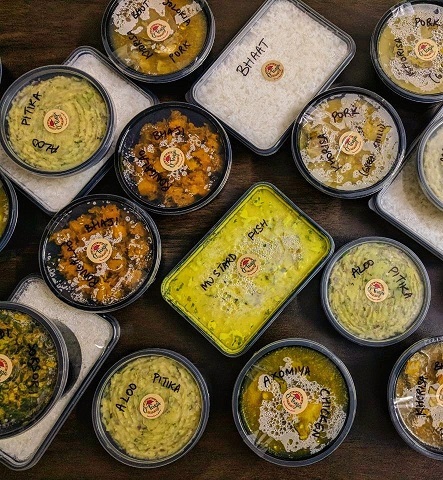 So folks, if you are in Mumbai and missing your home, rush to O’ Tenga or order your favourites to be delivered at your doorstep and enjoy a sumptuous home meal.